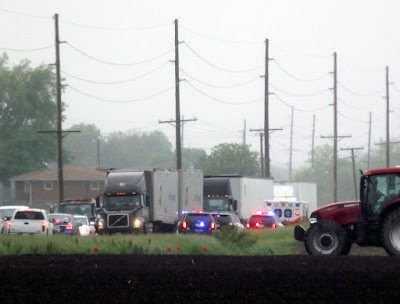 (Troy Times-Tribune) - 5/20/2015, 4:13 p.m. -- Emergency crews are just now clearing the scene of two accidents which occurred in quick succession on Route 40, just east of RP Lumber and the I-55/70 Interchange near Troy. Traffic is backed up, so be careful. This is the third accident today on the stretch of Route 40 going past Troy. An earlier accident occurred shortly before 8 a.m. just east of the intersection of Route 40 and Troy-O'Fallon Road. With continuing construction on I-70, the heavier-than-normal amounts of traffic utilizing Route 40 appears to be a challenge.